Winter has arrived! We had a very nice day at Saddleback Maine today! 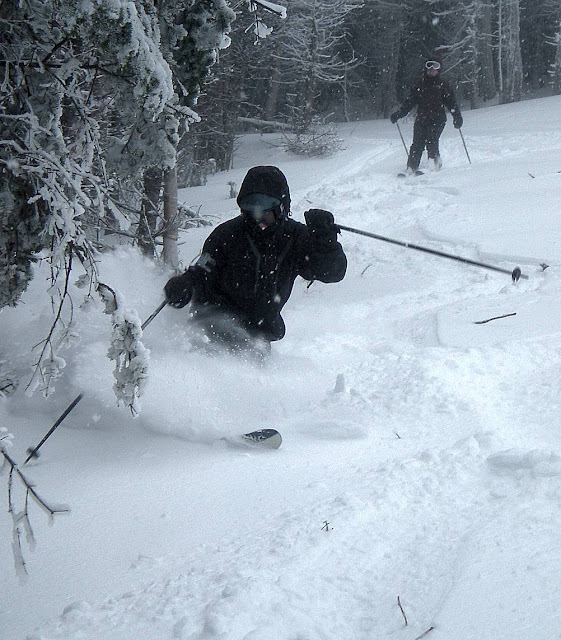 The 6-8 inches they picked up early Friday really freshened up the mountain. Enough so that they pushed their open trail count into the 60's. Cold temps but no wind to speak of which was great. All 5 lifts spinning kept a modest crowd happy with no lift lines. Lower Nightmare glade was very good! 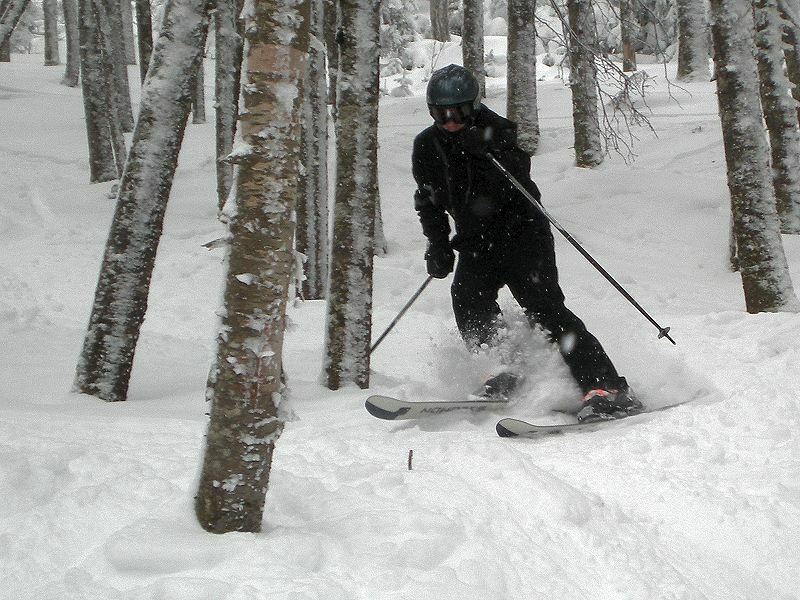 Made our first glade runs of the season today. 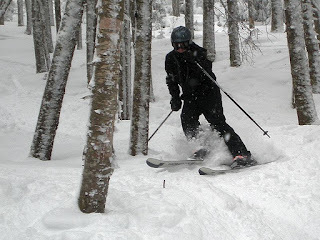 I thought the Lower Nightmare glade had very good snow. Saddleback opened their massive glade Casablanca today. The boys took a scouting mission - it was good but there was quite a bit of obstacles underfoot still. Need another 6-12 to really make them mint. The natural trails off the Kennabago quad were a bit challenging in spots with lots of obstacles to ski around but we got rewarded with some very nice powder runs. Probably the natural trail run of the day for us was Family Secret which is the trail directly under the Kennebago quad. It held loads of snow and was really fun. Governor did not disappoint either! We finished the day with a few runs off the T-bar. Blue Devil, Silver Doctor and Gray Ghost held awesome snow late in the day. Pure Saddleback! Early week forecast is looking a bit wet but lets hope Saddleback elevation wins out with frozen precip. I would recommend go getting it tomorrow. 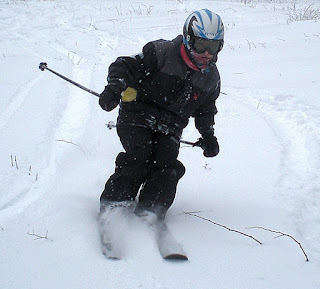 The skiing is good! 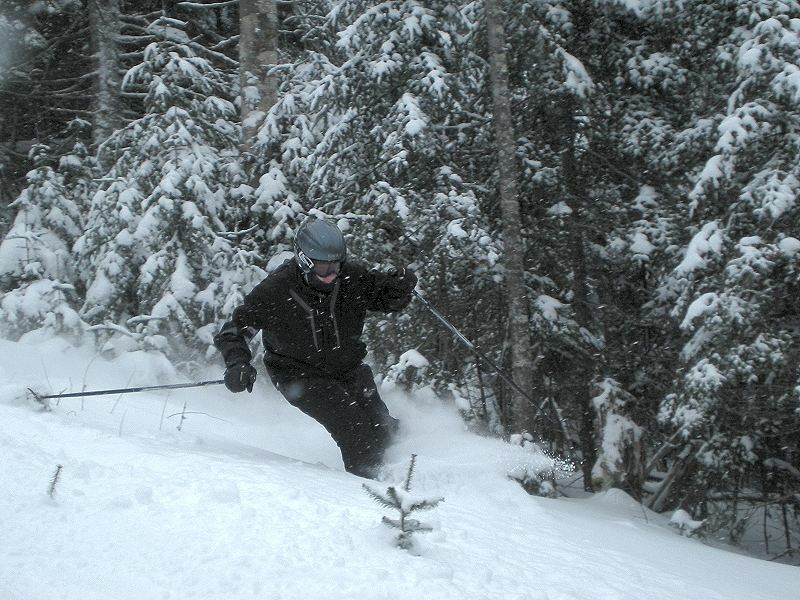 Lots of fun powder to play in today!